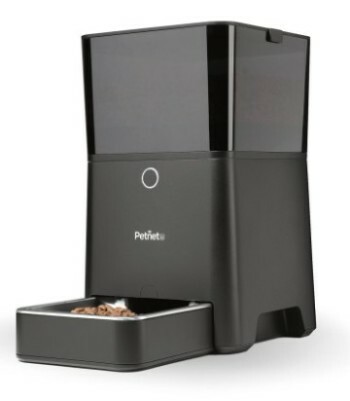 (4.4/5)Petmate Portion Right pet food dispenser helps you to feed your cat the right portion every time, eliminating the hassle of scooping from the bag, measuring and pouring food to your cat’s bowl every day. 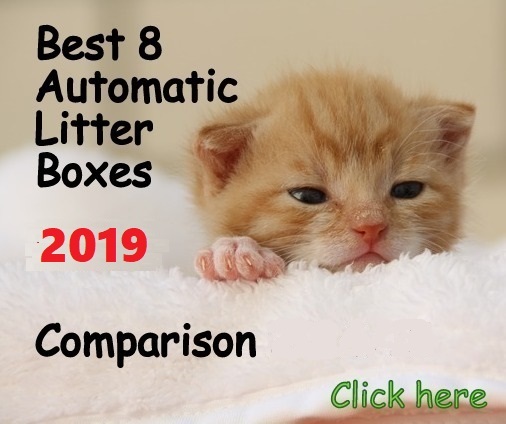 The unit has a special semi-automatic or manual dispensing system that requires only the turn of a knob to dispense the right portion for your cat to keep its food intake under control, eliminating overfeeding and keeping your cat healthy. You can turn the knob into 2 positions-measurements, the first position ¼ cup that you get by turning the knob halfway 180º and the second portion is a ½ cup that you get by turning the knob completely, 360º. You can turn the knob as many times as you need to complete the desired portion. Petmate Portion Right features a 10 lbs capacity food container that ensures plenty of food for several weeks. 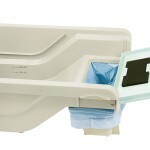 The food container has a wide opening to prevent food spills when pouring food from the bag. 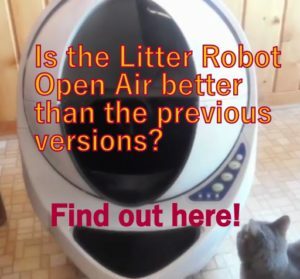 The system of Petmate Portion Right Food Dispenser is quite simple. The mechanism consists of a paddle with levers that hold a certain amount of food. As you turn the knob these levers face down the bottom and release the food, dropping the same amount each time. This mechanism allows you to turn the knob into 2 positions to get an accurate portion: half turn dispensing ¼ cup and full turn, getting a ½ cup. If you want less food than the ¼ cup you can try to turn the knob more slowly to dispense less, but the individual rubber levers hold and dump a portioned amount each time they reach the bottom as you are turning the knob, so it’s very hard to get a smaller portion this way. 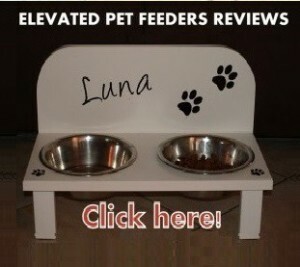 The feeder setup is really easy, it does not need instructions. Basically, you only need to attach the bowl/base to the food container, remove the lid and fill it with cat food, put the lid back on and that’s all. Plastic is not Microban (antimicrobial). To clean the unit, simply remove the bowl and the food container, wash both with a mild detergent in lukewarm water to remove food residue, rinse, dry and put the unit together. 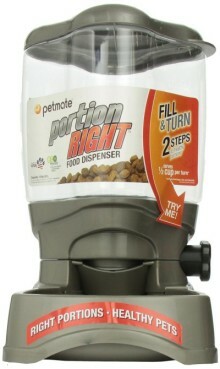 Petmate Portion Right Food Dispenser is a very good choice for people that are currently feeding their cat in a bowl. This feeder keeps cat owners from having to lean over towards the food bag, in some cases carry it, scooping food, measure it and pour it into the bowl. 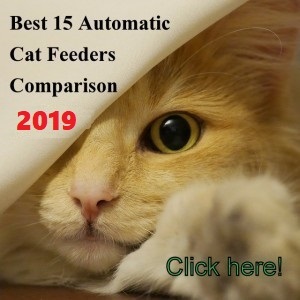 The feeder is reliable in portioning the right amount of food you need for your cat. 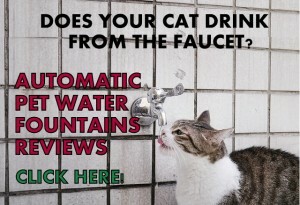 Though, you need to be home to turn the knob to dispense food for your cat because it’s a manual system. 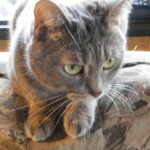 The Petmate Portion Right may not have all the bells and whistles of the automatic pet feeders but it gets the job done and it’s excellent for people that don’t want to deal with portioning and putting food in the cat’s bowl every day, 2 or 3 times a day, which could be a hassle. 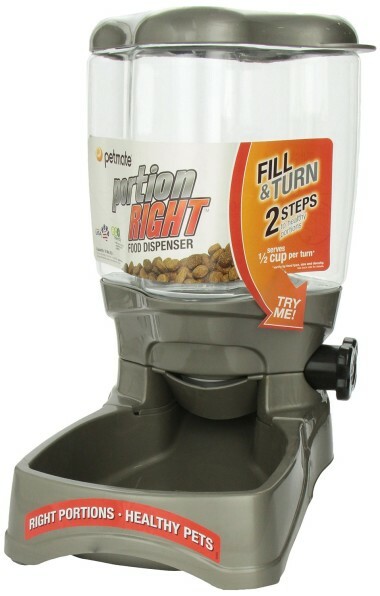 I recommend the Petmate Portion Right Food Dispenser to cat owners that can take care of turning the knob of the feeder whenever they need to feed their cat. 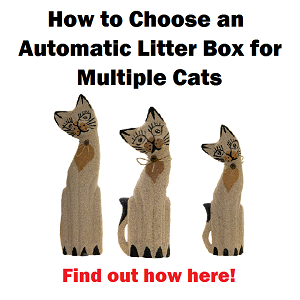 You can obtain the ideal average portion of a ¾ cup per day by turning the knob 3 times a day (half turn each time) or if you feed your cat 2 times a day, by turning the knob half turn for one meal and full turn the second meal. People that work all day but feed the cat before and after work (ideally with not too long working hours). 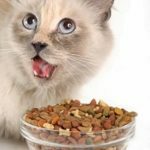 If you feed your cat irregular shaped and big kibble. People who can’t take care of turning the feeder’s knob to feed their cat. People with unpredictable working hours. Cat owners that don’t want to deal with the cat feeder on a daily basis. If you want a dishwasher safe feeder. 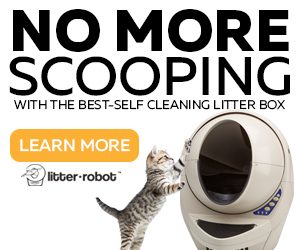 Love your website and Petmate Portion Right Food Dispenser. Very helpful reviews! Planning to buy this dispenser. I’ll let you know after I received and experienced it. I am happy to know this review was helpful for you. Your experience will help others. Thank you Alfonso!